This Week: I’m Still Reading, In Spite of It All! It’s a crazy week, with midterms and proposals and assignments piling up on top of the routine business of class meetings — which isn’t entirely routine at the end of term because I always prepare practice exams and review handouts and everything needs to be printed and copied and sorted and ready on time and yet there are still class notes to be prepared and readings to do and … well, you get the picture. Add in that the next issue of Open Letters is in production, which means writing and editing in every ‘spare’ minute and you’ll understand that I’ve been feeling kind of frazzled. And yet, there are books. Some are assigned ones, and happily they are really good ones this week. 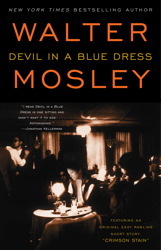 It’s a bit funny that I say that, as one of them is a book I really disliked the first time I read it – Walter Mosley’s Devil in a Blue Dress. The more time I spend on it the more I appreciate it: for me, this kind of experience is always a good cautionary tale about taking first impressions as final ones. They also help me (I hope) with my teaching, as I honestly do understand what it’s like to read something and not really get it, but to stick with it and learn what mental lenses bring out its most interest aspects. Even more to the pedagogical point, I know that I don’t have to like something — it doesn’t have to conform to my personal taste — for me to know it’s worth engaging with. I persisted with this one because I knew it would bring a valuable new dimension to my mystery class, which it does, and in working on how to explain it, I ended up making friends with it. Mind you, I still haven’t read any other Easy Rawlins novels, but my excuse is that I’ve been trawling for the next great addition to my syllabus. Then it’s North and South in the 19th-century novels class, which is an old favourite of mine. I have managed to do some reading outside of class too. Last week I reread (very briskly! skimming!) both of the first two Bridget Jones novels in preparation for reviewing the new one, which I also read (and spent much of the weekend writing about – stay tuned for the new issue, to see what I thought). Over the weekend I also read Georgette Heyer’s A Civil Contract, which was the most subdued Heyer I’ve met so far. It was bittersweet enough to make me almost sad at times, even at what should have been the happy ending. But for her last triumph, when in one moment she, by leaving us, became the governor of our thoughts, she led a very ordinary life for a woman of her type and times. She was imprisoned eight times; she hunger-struck seven times; she was forcibly fed forty-nine times. This is the kind of life to which we dedicate our best and kindest and wittiest women; we take it for granted that they shall spend their kindness and their wits in ugly scuffles in dark cells. And now in the constant contemplation of their pain we have become insensible. When enlightened by her violent death, we try to reckon up the price that Emily Davison paid for wearing a fine character in a mean world, we realise that her whole life since she joined the Women’s Social and Political Union in 1906 was a tragedy which we ought not to have permitted. For if, when we walked behind her bier on Saturday, we thought of ourselves as doing a dead comrade honour, we were wrong. We were making a march of penitence behind a victim we allowed the Government to do to death. 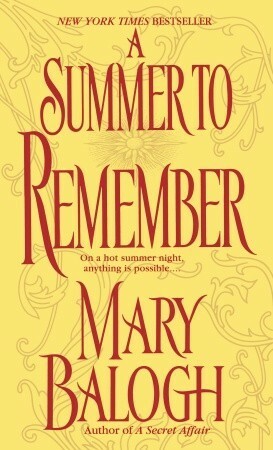 Finally, as I’ve temporarily run out of Georgette Heyers, I’m revisiting Mary Balogh’s A Summer to Remember for something soothing to read with my morning tea and when everything else is done at the end of the day. Now that I’ve read several more Heyers, the differences are more conspicuous, chief among them that Balogh (as far as I’ve seen, anyway) is absolutely never funny! She is much more sentimental than Heyer — and also much sexier, which is not better or worse but just different. A Summer to Remember is a nice one, though Lauren is a bit too perfect (my favourite Balogh is Simply Perfect, probably because I identify with the prickly schoolteacher heroine!). Looking ahead, I have more treats in store besides West, as both of my book clubs have chosen Daphne du Maurier titles: my local group meets in mid-December to discuss The Scapegoat, and the Slaves of Golconda group chose Jamaica Inn (all welcome, to post or just join in the comments). Now, if I can just make it through the incoming deluge of papers and exams — and the meetings! I too hope the Commonplace Blog continues for a long time: it’s one of the very best. It will not ever have the kind of reader traffic that you and others enjoy, but it will be at least a platform from which I can continue chatting about books; I soon will be away from the podium, and I am a bit anxious about not being able to continue the “conversations” that happened in the classrooms over the years. Your comment about coming to appreciate ‘Devil in a Blue Dress’ more as a result of re-reading struck home this afternoon, because I’ve just finished my third read of ‘On Chesil Beach’ which I was completely unmoved by the first time through. However, this time, possibly because I have a better idea of where the ‘plot’ is going, I’ve found myself really appreciating what a finely tuned piece of writing it is, with what seems like every word deliberately placed to resonate with the point McEwan is trying to make about that moment in the 60s and the way society worked in that period. The West piece is really forceful. I think we look back at those women and celebrate what they did without having any real idea of the violence that was used against them. I’ve not read any of West’s essay but I can see that I shall have to seek them out. Interesting example, since I read On Chesil Beach and was also completely unmoved by it – very disappointed, in fact. Maybe I need to reread it! I do love that quality in McEwan that you describe — the feeling that every word is placed just so. I can’t get over how young West was when she wrote these pieces. The collection is 1911-1917 and she was only born in 1892. It’s not just that she writes with remarkable confidence, but that her literary and political range is already remarkable.